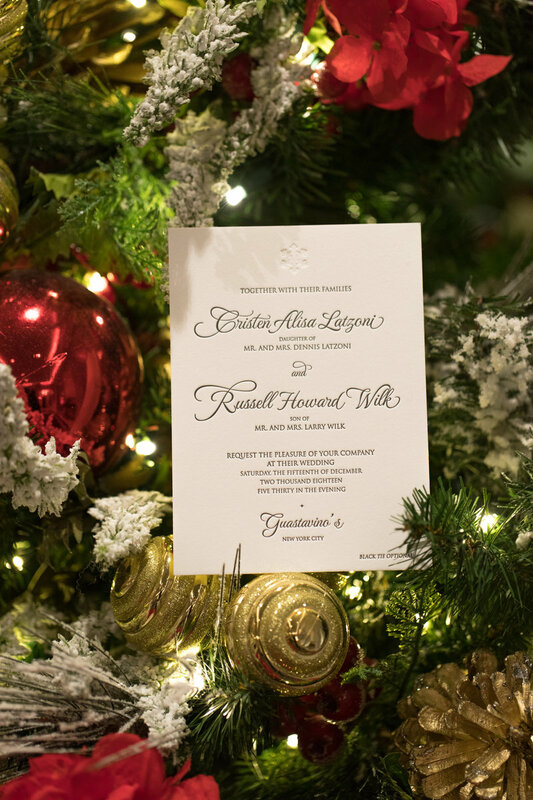 In December, I photographed Cristen and Russell's gorgeous black tie wedding at Guastavino's in New York City. The entire day was so fun and so full of love that I went home that night in the absolute best mood. They really went above and beyond in showing their guests how much they valued having them attend their wedding - between the band, DJ, photo booth, multiple food options, and drinks, they made sure that they covered all the bases to ensure that their families and friends had a total blast. When I sat down with Cristen and Russell to discuss their wedding plans last summer, the first thing they said was how important it was to them to make the day be about family - both about their love and respect for all of their family members as individuals, and about the joining of their two families together. Throughout their wedding, it was clear just how much family means to the two of them. 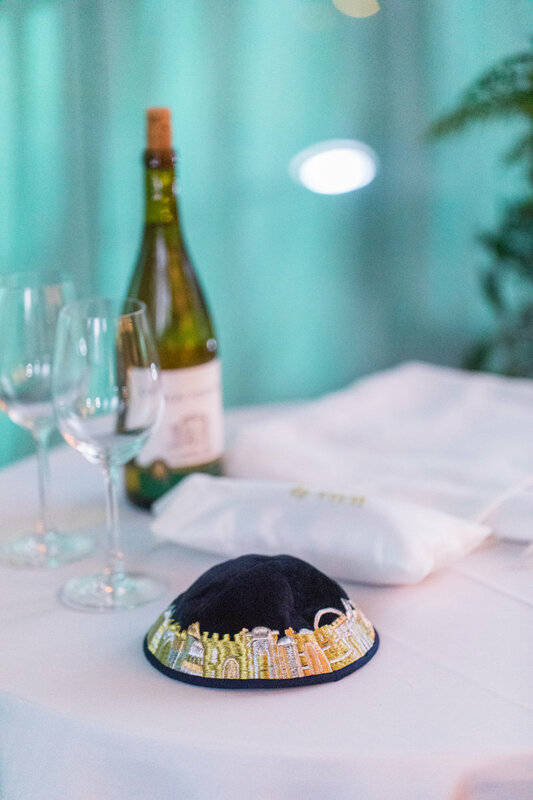 They seamlessly fused Jewish and Catholic religious traditions, invited their siblings to be their witnesses and to sign their Ketubah, and even - as a surprise - called their mothers up to the altar to thank them during the ceremony. The bond that Cristen and Russell share with their families - and with each other's families - is so special, and the way their brothers and sisters look at them is matched only by the way they look at each other. It is a true joy to photograph people who are so surrounded by love, and who radiate it themselves. 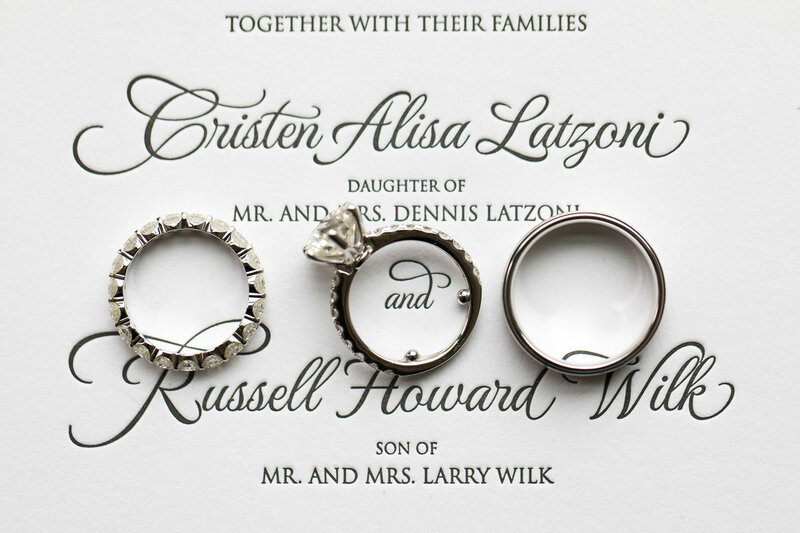 Congratulations, Cristen and Russell! Thank you for choosing me to photograph your love. I hope that these photos bring you the happiest of memories forever. The venue that Cristen and Russell chose is drop dead gorgeous in all seasons, but having the twinkle lights placed outside was an added bonus. I love the photos above because they show the grounds, their view of the Queensboro bridge, and a bit of the inside of the gorgeous venue. I also adore the photos of the two of them, below; there's just something extra beautiful about a wedding during the holiday season.